OT Winter Fashion - once stylish and functional template internet - shop of professional development team OmegaTheme. 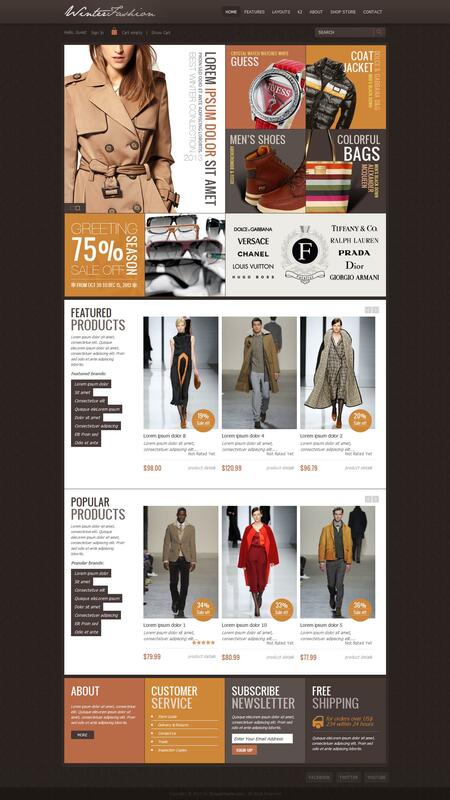 Elegant design layout is ideal for creating websites selling fashionable clothes and shoes. Built-in studio image rotator Hot Effects Rotator, allows you to display the most important information on the site. Support for the latest version of the component online commerce VirtueMart, provides a complete set of features for fast processing and execution of orders through the website. Through the use of all the capabilities of the platform Solid Framework, this pattern perfectly optimized, supports all modern browsers and has a fast download speeds. K2 component support will significantly increase the chances of a website when publishing materials.